This unique restaurant combines an unusual historic setting with sensational modern British plates. 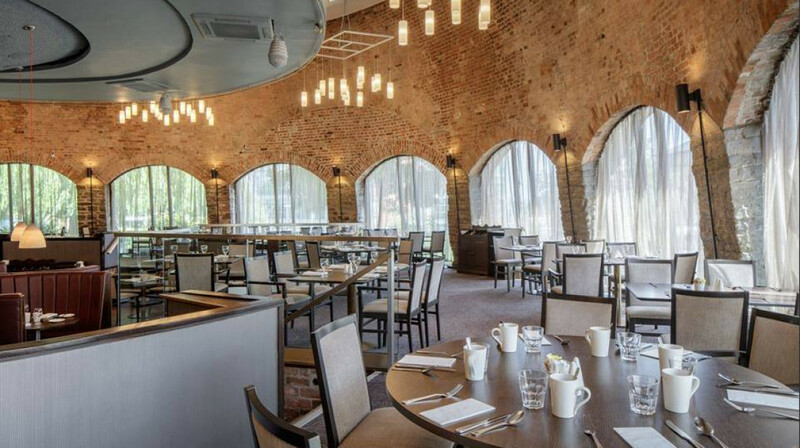 Handily located at the DoubleTree by Hilton Hotel in the city centre, Kiln's atmospheric dining room is housed in a 17th Century glass kiln. 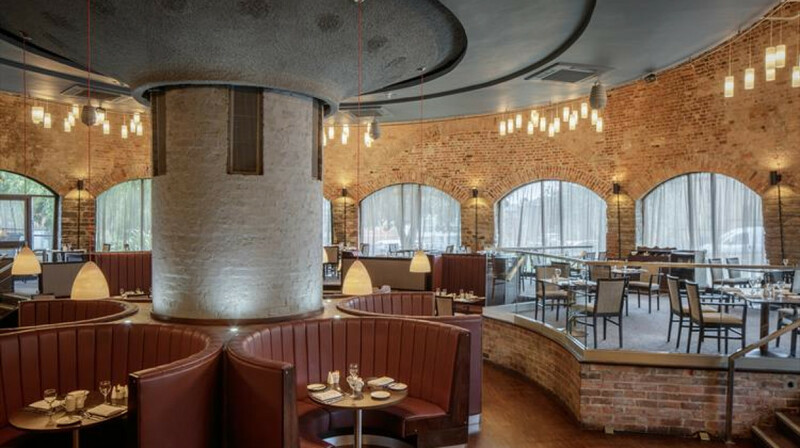 Expect exposed brickwork, curved walls and statement light fittings. The globe-trotting menu draws inspiration from the likes of Italy, America and Jamaica, but its heart is in the West Country’s fantastic natural larder. Enjoy pasta, hearty salads, fresh seafood and quality meat. There’s even a dedicated grill section doing a mean line in juicy steaks and brilliant burgers (jerk chicken burger with pineapple salsa anyone?) 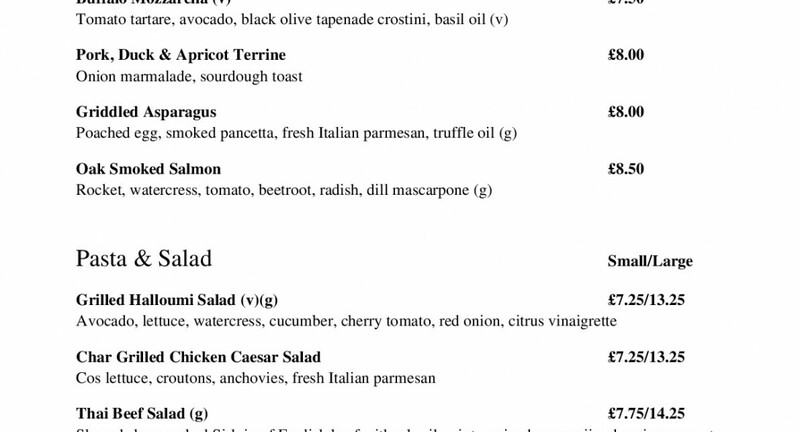 Vegetarians are well catered for too with a selection of satisfying dishes such as rich asparagus and parmesan risotto. Round off your meal with a bottle from the excellent wine cellar and did we mention the desserts? The signature chocolate chip cookie sundae is unmissable! The food was nice and service very good, location however best suited for hotel guests. myself and my boyfriend went last night to The Kiln! it was a great experience, great staff, nice environment, I had the rack of lamb and my boyfriend had the rump steak. We both throughly enjoyed the meal, they could have been a little more generous with the portion of lamb, and my boyfriend had steak it was cooked perfectly for him and a big steak to. would recommend this place. We experienced the friendliest and loveliest service ever and the food was faultless. Super tasty! Can not recommend this restaurant highly enough. Excellent food with friendly and efficient service and amazing value with First Table. What a lovely evening we had. From first entering the restaurant to leaving the service was first class and the waitresses were very friendly. The food was as you'd expect from a hotel of this standard. We will definitely go back again. Amazing food, piping hot and really tasty. Lovely restaurant and friendly and attentive staff. Thank you for a lovely evening. Lovely dinner. My lamb was cooked perfectly. Staff were very attentive and friendly.